Glad you liked it! It is our favorite, too. I’ve been making it since i was 16, which is probably longer than you’ve been alive. ahem. 😉 Bryan and I used to split the pan when we were newlyweds, but we can’t do that anymore. I can’t believe I’m just now trying it!! I saw this yesterday and will be trying it. If you’re saying it’s the BEST, I have to wonder if you’ve made Martha Stewart’s Mac & cheese. The ingredients are spendy and it’s definitely not frugal, but oh my goodness is it good! I haven’t tried hers — at least not that I can remember. Looks delicious! 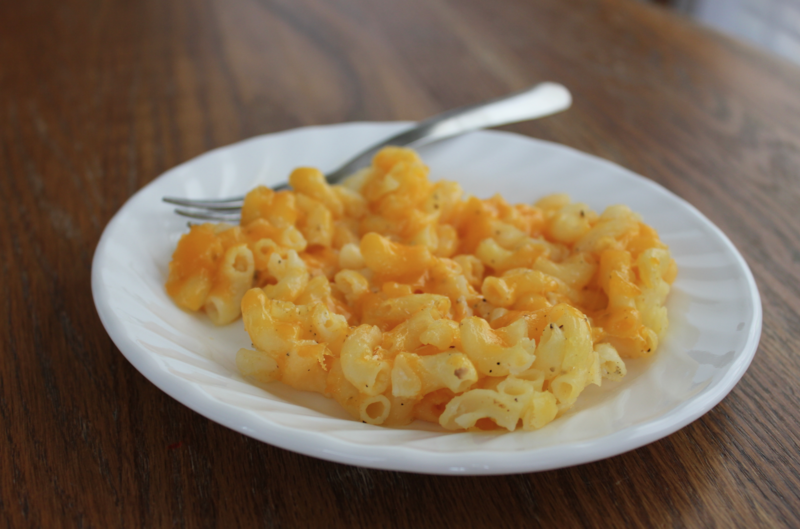 Mac ‘n cheese is one of the kids’ favorites (of course, that’s true of all kids isn’t it? 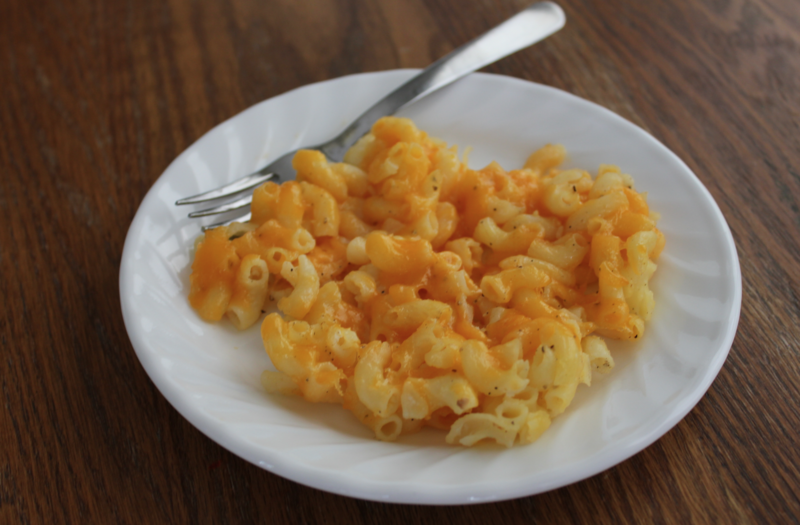 ), but my son is currently dairy-free, so we’ve been experimenting with dairy-free “cheese”. But this recipe is definitely on my short list as soon as the ban gets lifted! That’s got to be hard to have your son dairy-free! I hope the ban gets lifted soon! Thanks for the tip! I’m looking at her dollar menu right now, and I’m tempted to buy all three recipes LOL! Have you tried goat cheese…my sister can not tolerate cow’s milk or cheese. Try adding a can of cheddar cheese soup. It adds another level of creaminess. Yummy! 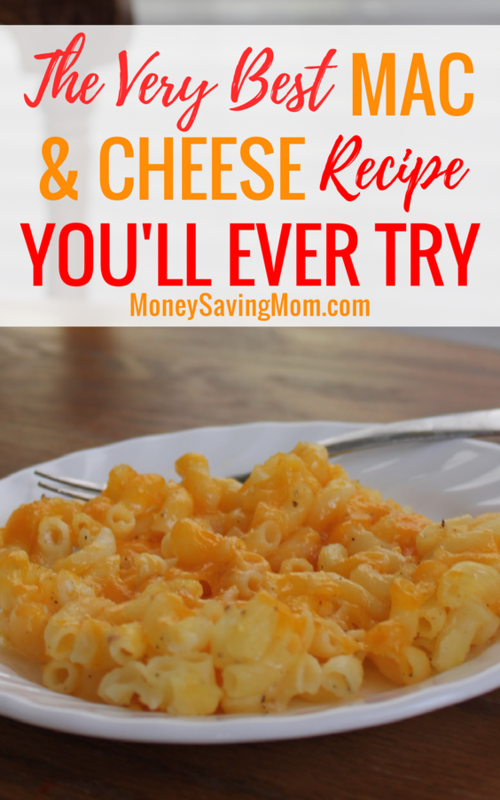 This is so close to our favorite Mac n cheese recipe, except we add one egg and a container of cottage cheese. Then cook for 40 minutes. I know that sounds weird, but it is so good that we call it smackaroni because you smack your lips! So glad you found a favorite! Oh, so interesting! Thanks so much for sharing! oh my gosh thank you for sharing! I think I’ve tried a million recipes too and none are just right to me! Trying this tomorrow!! We use an egg and a few TBSP of butter and a half cup of evaporated milk. It adds a slight sweet flavor that goes great with the tang of the cheese. Looks delicious! I bet Greek yogurt could replace the sour cream for “healthier” version. As for freezing, I’ve never had good results from freezing gluten-free pasta, but I’m sure regular pasta would do great! I want to try it with regular pasta! Great suggestion on not trying to freeze gluten-free pasta! I made this with greek yogurt and it seemed to separate a bit. I found it sort of dry and a little bland…maybe that is how it is meant to be. I ended up adding paprika and more salt to zip it up a bit. I saw another post that said to add a can of cheddar cheese soup….I think that would make this much better! I tried this with shredded cheese I had on hand and it didn’t work well (too grainy). I’m going to try gain with cubed cheese like the recipe suggests. Thanks for sharing the recipe! Oh my goodness. That is it!?! And I could make another and freeze it? Thank you so much for sharing. I will be trying this next week. Has anyone tried making this in a crock pot? Would I need to make any changes to the recipe? Looks delish! I am gluten free and can’t wait to give it a try. I was suspicious when I saw this didn’t include a stove-top sauce, and it indeed turned out to be rather dry. The taste is OK, but not even as good as boxed mac and cheese. I might try again with some adjustments. This sounds delish! would love to make it.. and it looks like I can, just for me… family are not fans of mac and cheese. a tip to make it more interesting for adults… (made some for a block party bbq – Everyone Loved it…) Add a little cayenne to the cheese and sauce… I made mine with gruyere and cheddar for fancy, was a little worried a bout the younger kids… who usually don’t like strong flavours… but they loved it too.